Home Politics BE GOOD AMBASSADORS OF KOGI STATE, Yahaya Bello Admonishes Students Of Kogi Origin. BE GOOD AMBASSADORS OF KOGI STATE, Yahaya Bello Admonishes Students Of Kogi Origin. 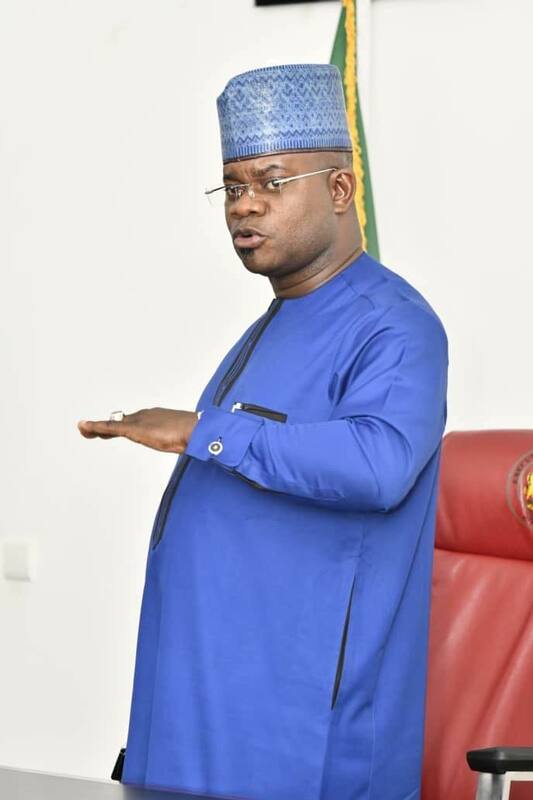 Kogi State governor, Alhaji Yahaya Bello has charged students of Kogi state origin in higher institutions to be good ambassadors of the state. The Governor, who urged them to show commitment to their studies gave the charge on Saturday in Jos during the celebration of 2019 Igala Day by Igala Students in the University of Jos, Plateau State. Gov Bello whose message was delivered by his Chief of Staff, Hon Edward Onoja said Kogi State students have been distinguishing themselves in academic excellence both at home and abroad, and advised them to sustain the tempo. He called on all students from Kogi State to emulate those that have done the state proud in the past and those that have continued to do so, saying that one of the factors that would endanger their dream was social vices like exam malpractice, cultism among others which he called on them to stay away from. The governor who was conferred an Award of Excellence by the students, assured them of prompt disbursement of the 2019 bursary across institutions. Governor Bello used the occasion to assure the public of his determination to develop all sectors in the state, especially education, which he described as the bedrock of every nation. He said it was because of the lofty objectives his administration has for the sector that it made education number one in his New Direction blueprint, assuring that his dream was to leave the state better than he met it. The Governor also used the opportunity to call on all students from the state to close ranks, shun all divisive tendencies such as ethnicity and religion and forge bonds that would create lasting friendships for the overall progress of Kogi State.